If you have central air in your home or office building, you may fear that the high costs of keeping your home cool during the summer months will empty your wallet. This doesn’t have to be the case, particularly if you follow these helpful tips to help keep your central air running efficiently. Always have your unit serviced in the spring before the temperatures start to climb Search for a company that is available to make seasonal service calls, is open daily and offers 24-hour emergency service. This helps keep your unit running efficiently and enables it to last for years. Schedule a seasonal checkup so that minor issues can be spotted before they become large ones. Another way to ensure that your central air runs efficiently is to change the air filter regularly. This simple task should be done either monthly or quarterly, depending on the type of filter you purchase. If you don’t have the time or inclination to do this, a HVAC specialist will be happy to do this for you. A programmable thermostat may seem like an insignificant purchase, but it actually saves you money over time. It can be programmed to adjust the temperature right before you get home from work or other activities. This allows you to lower utility bills by using less energy when you aren't there and enables you to arrive home to a comfortable temperature. Most thermostats allow you to change the settings for weekends when you are home all of the time or your office building is empty, and you can also customize it in other ways. Check with a local building supply company to inquire about injecting foam insulation in your block walls. This type of insulation helps prevent hot air from entering your building through porous block walls. 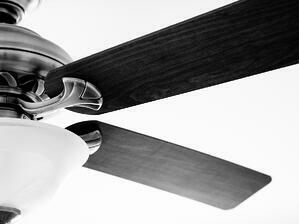 If your home or office building doesn’t have ceiling fans, consider installing a few. These fans help lower the temperature a few degrees, therefore allowing you to keep the thermostat up higher than normal, yet the occupants will still feel cool. Close air vents in rarely used rooms, such as guest bedrooms or unused offices. There is no need to keep these rooms cool if no one uses them; this cuts down on your energy costs. Saving on energy costs is an effective way to save money on your electric bills, but it is also a great way to protect and conserve our natural resources. At A Borrelli Mechanical, we can assist you with all your HVAC needs, and the associates will do so in a friendly, reliable and honest manner.